According to the New York Times, “The company […] announced its latest round, for 2.7 million vehicles, bringing to nearly 11.2 million the number of vehicles recalled this year by G.M. in the United States and 12.8 million worldwide. Last year, it recalled almost 758,000 in the United States.”The issue has created unease among auto manufacturers and prompted U.S. agencies to take a closer look at auto recalls that stem from safety issues. In addition to the recall, GM is being ordered to pay hefty fines in association with the National Highway of Safety’s (NHTSA) “consent decree.” In fact, it’s one of the biggest penalties to be paid to NHTSA by a company in relation to a recall. It’s a cautionary tale for all auto manufacturers. While GM states that safety is now at the forefront of its business plan, it won’t help to recoup the company’s lost funds or immediately save its reputation. 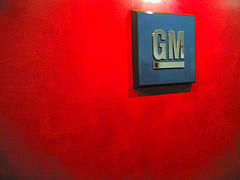 The hit is especially disconcerting for the U.S. government, which played a major role in GM’s new line.